9. 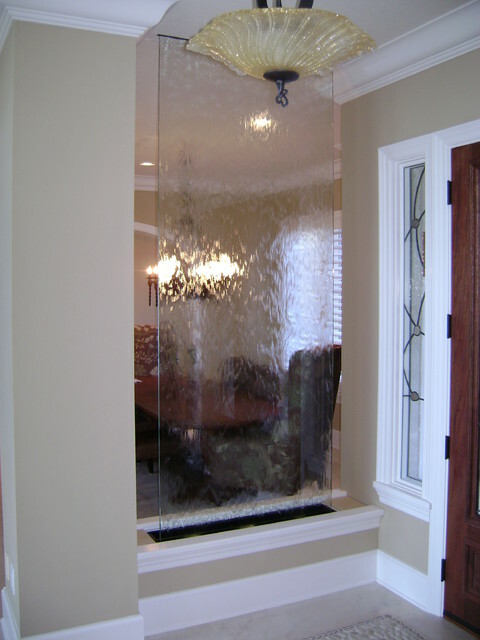 A water wall partitions the entrance and the living room, and doubles as a dynamic art piece. The semi-transparent glass wall ensures that there’s a seamless connection between the two spaces and neither of the two areas seem boxed in.